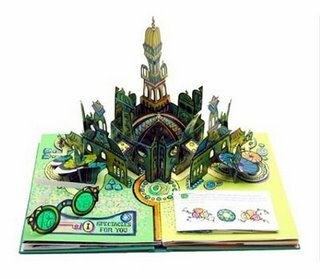 I absolutely adore Robert Sabuda pop-up books! And I love the Wizard of Oz, so when I saw a link for this in my Inbox today, I so wanted them. Somebody please buy for them for me! I'll be your best friend forever :) Or something..